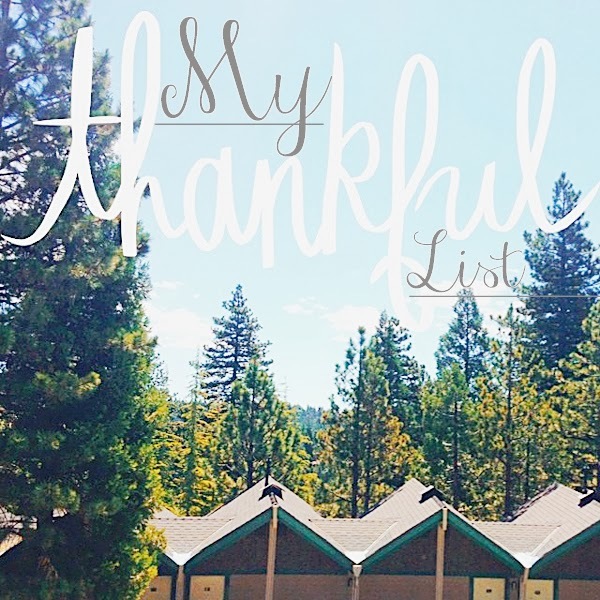 At our last book club, we talked a little about Thanksgiving and thankfulness. Makes sense, the holiday is coming up pretty quick here. Here's the thing though, we then discussed how it really shouldn't be limited to the actual holiday that we focus on and share all that we're grateful for! Kind of a simple thought...but one I know I struggle with personally. Now that I really think of it, it's totally weird that I only really think about all that I've been blessed with, come this time of year. Life is complicated and can very easily get the best of us (can I get an "amen"? ), but by sitting down each day (even days that aren't revolving around Thanksgiving) and taking time to think about, write out, and pray about what we are thankful for in that moment, we can see the real beauty around us. There is so much around us monthly, weekly, and daily that we are blessed with. When you start to really think about it, your list continues to grow and grow. Plus, when you start concentrating on what you're thankful for, those things that are burdening you, seem to fade a bit into the distance. Funny how that works, huh? 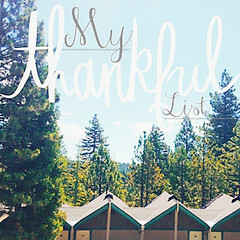 So today, I want to share 10 things I'm really especially grateful and thankful for. Hopefully this list will inspire me to continuously think in this way, and I can make this focus a new daily thing. My healthy, hardly ever gets sick, hardly ever complains, hardly ever gives me problems, body. A God fearing, Gospel loving, honorable, and lovely husband. A house (even if only an apartment) I can share with a man I love. My two healthy, yet cantankerous, kitties! The amazing Christian women God has brought into my life and continued to grow me closer and closer to. A family who loves to spend time together. The fact that I can stay at home, WORK from home, and work doing something I'm utterly in love with. PS- If you are linking up, make sure you grab a button and get it on your blog or blog post!